The annual World Economic Forum (WEF) concluded this past Friday in Davos. From discussing the ways to deal with climate changes to pondering over the future of Venezuela, the world’s High and Mighty have made headlines with their rhetoric amid an atmosphere of unprecedented uncertainty, fragility and controversy. The Team Intueri loved to keep sharing updates on everything that were going on over the past few days at the picturesque ski resort of Davos. As the mega event draws to a close, we make a summary of key themes that we think, would play a role in shaping the global, regional and industry agendas in the coming months. Structural issues like U.S.-China trade tensions and climate change could trigger a catastrophe which could, in turn, affect the growth of emerging countries like India and China. There is a reason for profound pessimism which we have to adjust to a distinct possibility of a catastrophic outcome due to these structural issues. India is a “bright spot” despite challenges to growth in the U.S. and Europe. India continues to have a growth in excess of 7 percent. She seems to remain immune from this (pressure) and benefited from the low oil prices. Global economic weakness remains a concern although the offing of recession is not much in the radar. Growth looks better than in the previous years. Advanced economies are doing better than anticipated especially Euro Area and Japan. The UK has ended 2016 as the fastest growing of the developed economies but the forecast for 2017 will be lower. International Monetary Fund’s, which expect global economic growth to decelerate to 3.5 percent this year. Concerns over Brexit are growing, the key challenge remaining the time frame. After Theresa May stated that Brexit would mean the the exit from a single market, the agreement between UK and EU in a mutually beneficial manner to remove uncertainty which may hurt business and economy on both sides. A 2-year time frame looks hard to complete the Brexit process. ‘As to whether Brexit can happen within two years, Hammond is cautiously optimistic’. The World Economic Forum’s Global Risk Report 2019 shows only too clearly, environmental crises – notably a failure to tackle climate change – are among the likeliest and highest-impact risks that the world faces over the next decade. Indeed, 2018 saw record levels of costs due to extreme weather events. Warnings of a climate change catastrophe have been put forward by scientists unless urgent action is taken to “bend the curve” on rising greenhouse gas emissions. Geopolitical Recession poses a bigger risk than the slowdown in the U.S and China. The playout of domestic factors of any country in terms of growth, jobs and prosperity are of higher concern amidst the geopolitical characteristics of the world is important to note. It is the onset of globalization 4.0, however, the world is vastly unprepared for it. Clinging to an outdated mindset and tinkering with the existing processes and institutions will not do. Rather, redesigning them from the ground up is the need, so that we can capitalize on the new opportunities avoiding the kind of disruptions that are witnessing today. The challenges associated with the Fourth Industrial Revolution (4IR) are coinciding with the rapid emergence of ecological constraints, the advent of an increasingly multipolar international order, and rising inequality. These integrated developments are ushering in a new era of globalization. 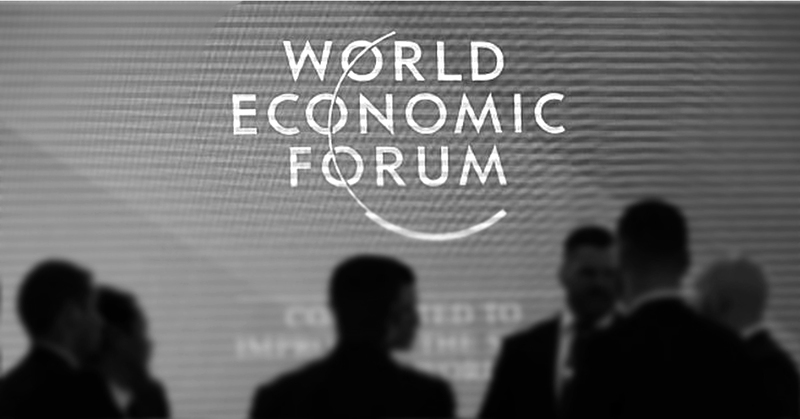 The WEF theme ‘shaping a global architecture in the age of the fourth industrial revolution enabled many loosely related strands of discussion, to come to one location. Two schools of thought were displayed this year. The ‘incrementalists’ pointed to the fact that AI is not a new phenomenon and has, in fact, been around since the 1950s. This technology is increasingly advanced, but it is useful to think of current breakthroughs, in areas such as deep learning. Then there were the ‘radicals’, who told the gathered crowd that the world is experiencing the fastest adoption of new technology ever – with exciting and scary consequences just around the corner. The radicals also highlighted the fact that a small group of mostly American and Chinese companies completely dominate the field of AI research. 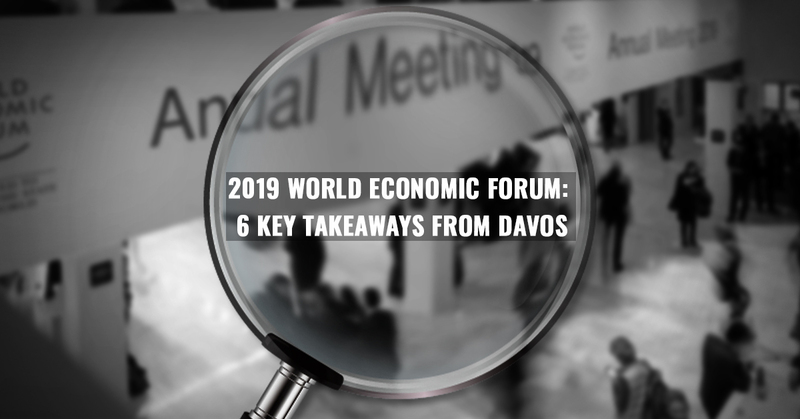 We noted these as the main key areas of discussion in the WEF 2019. Global leaders have been deliberating these issues taking cues from developments in the global economy. India has been a focus, drawing much attention from the trade tensions occurring in the West. Alongside, The WEF also brought leaders together to discuss “key global faultlines” including the western Balkans and Syria. Summing up, the WEF lacked buzz without Donald Trump as unease over Brexit and global recession dominated the summit. Next PostNext INTUERISPEAK: SHOULD POOR COUNTRIES CURB THEIR CONSULTANCY SPENDS?